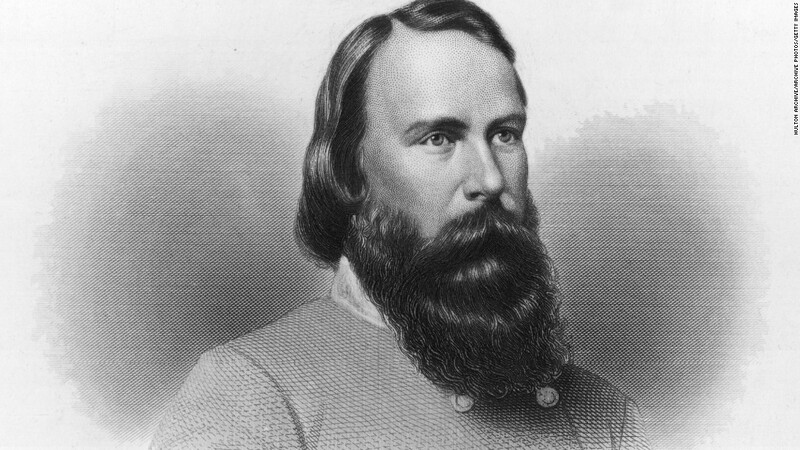 In late fall of 1863, Longstreet moved his command toward Knoxville, attempting to drive Federal forces out of the city and to restore the rail link to Virginia. The high water mark of the campaign was the failed Confederate attempt to take Fort Sanders on November 29, 1863. Following the battle of Beans Station (December 4), Longstreet's men went into winter quarters in and around Rogersville and Morristown. Longstreet's men complained mightily about their poor provisions that winter. A private in the Fifteenth Alabama recalled that: "The winter of '63-64 at Morristown, Tenn., was peculiarly hard. We had no huts, rations were scant and poor, as were blankets, clothing and shoes. We did not get a mail for three months. Plug tobacco could not be had..." Some supplies were brought via rail to Bristol, or, when the railroad was in repair, a little further south. James H. Greenlee, a McDowell County resident, noted the arrival of Longstreet's men in February 1864. He noted on February 23 that seventy or eighty "soldiers from Longstreets army here hunting up cattle[.]" The next day, they were still around, "washing there cloths and mending their shoes." On March 20, Greenlee wrote that there were "48 wagons from the army" getting their feed. (UNC-CHapel Hill) Governor Vance complained in a letter to Secretary of War James Seddon on March 21, 1864, about elements of Jenkins's cavalry in "about twenty counties" impressing food and forage. 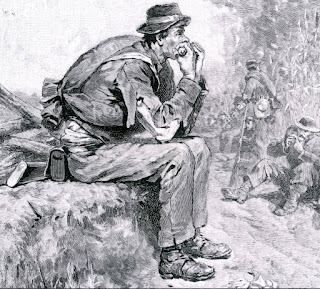 "I complain," Vance wrote, "that a large body of broken-down cavalry horses are in North Carolina, eating up the substance of the people in a region desolated by drought and reduced to the verge of starvation..." Seddon wrote Vance back on March 26: "I regret to learn from your letter of the 21st--inst. of the necessity for the impressments of corn in Burke County, N.C., to sustain the Artillery horses of Genl. Longstreet's command..." (North Carolina Civil War Documentary, 199-203) Longstreet's command pulled out of east Tennessee toward the end of April, and presumably took his foragers with him. It would be great to know more about the activities of Longstreet's men in western North Carolina. Did they come down the French Broad River route, and into Asheville, and then scout east? Or, how about the route over Roan Mountain, into the North Toe River Valley, and then into Caldwell, McDowell, and Burke Counties? 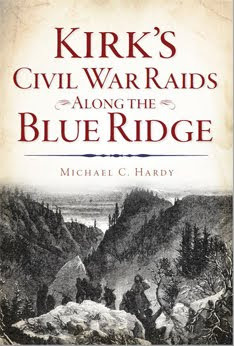 Maybe if we could find those fifty letters that local citizens wrote to Vance, complaining of the recent Confederate arrivals, we could learn more about the visit of these soldiers in western North Carolina. Someone emailed me years ago, looking for a day-by-day account of a specific Confederate ancestor. This correspondent, I imagine, had no idea how far-fetched that request actually was. Unless your ancestor kept a diary, you might be lucky to have a one-or-every-two-month glimpse into his personal life. And even then, those muster roll sheets don't tell us much about the day-to-day lives of these men. Recently, I was reading Timothy H. Smith's The Story of Lee's Headquarters (1995) and found a brief mention of Brig. Gen. James H. Lane. 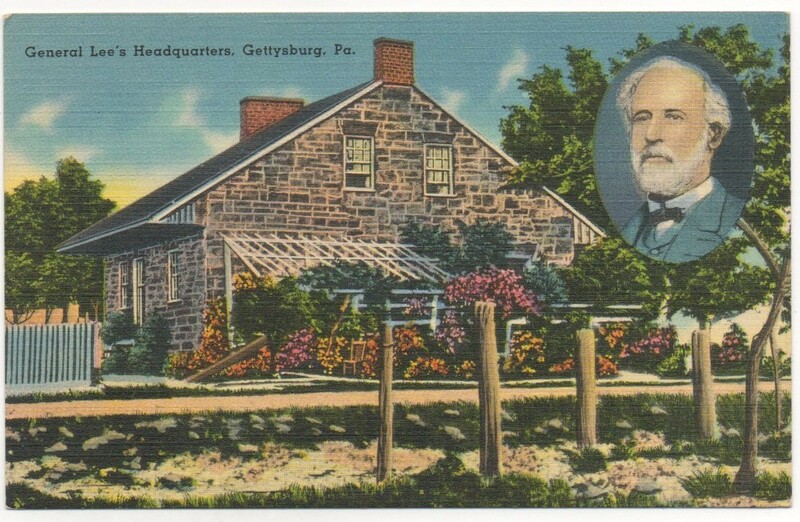 While the account is very short, it adds a little to the personal story of Lane at Gettysburg. Lane, following the death of Brig. Gen. Lawrence Branch, was promoted to brigadier general and assumed command of the Branch's old brigade. But how many times did Lane and Lee interact during the war? Technically, Lane reported to his division commander (A. P. Hill, then William D. Pender, and finally Cadmus Wilcox). 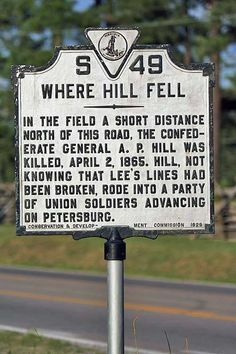 There are only three documented encounters between Lane and his corps commander, Stonewall Jackson - twice during the tearing up of the railroad in October 1862, and then in the dark woods the evening Jackson was mortally wounded by Lane's men. Of course, these men saw each other more frequently. But those encounters seem to have been lost to history. While working on General Lee's Immortals, I came across a letter by Lane to the editor of the Richmond Times. 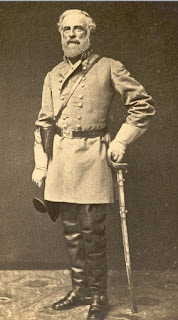 Lane really just repeats what wrote in his official report, but does add an interesting little tidbit: on July 3, Lane writes, "Gen. Lee appeared in front of my line, reconnoitered the enemy's position, and, when he was about to leave, he remarked that, 'he needed more troops on the right, but he did not know where they were to come from.'" (The Indicator April 23, 1867) This is the second encounter between Lane and Lee. Surprisingly, mentions of encounters between Robert E. Lee and Jane H. Lane are few and far between. Lane wrote of dropping by Lee's office in Richmond in May 1862, as his regiment was being transferred from Kinston to Gordonsville, asking about better arms for the 28th North Carolina. They were obviously together on the afternoon of May 12, 1864, when Lee directed Lane to capture the Federal battery enfilading Confederate lines. 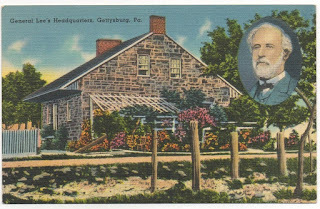 Lane also records an encounter with Lee twice when Lane returned to the Army of Northern Virginia after his wounding. It was at this second encounter that Lee gave Lane some peaches sent to Lee by admirers. Lane shared the fruit with his own staff. 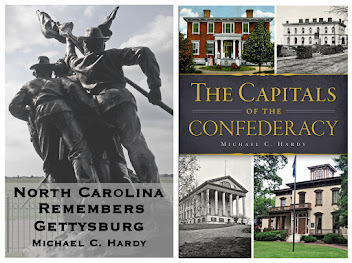 Then, in Smith's The Story of Lee's Headquarters, we find another encounter: Mrs. Thompson, who lived in the house we all know as Lee's Headquarters, "returned [from the Seminary] unmolested to the bullet-riddled and shell-ripped home, to find General Robert E. Lee, General A.P. Hill, General James Longstreet, General William Pendleton and General James Lane, along with" numerous staff officers." (84) Wow! 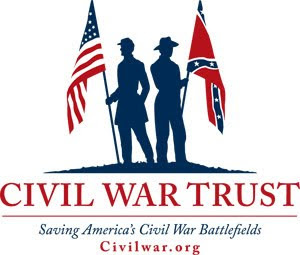 That puts Lane with the top brass of the Army of Northern Virginia (save General Ewell). Now, if this account was written about July 1, well, I might have some qualms about its authenticity. There were other brigades between Lane and the Thompson house headquarters. However, if it deals with the evening of July 2, or July 3, or July 4, then it could be true. Lane would have been in charge of the Light Division. I don't really know more about the account except that it appeared in print in 1968 in an account written by Eugene Sickles. Robert E. Lee's circle of contacts was both large and small. He would have frequently been in contact with his own staff, his corps commanders, and certain members of their staff. A lowly brigadier general like James H. Lane never would have wandered over to army headquarters just to have a chat. It was against army protocol. Would I have put the account of Lane being with Lee, Hill, and Longstreet in General Lee's Immortals? Maybe. But it would probably have been in the same place I found it... in a footnote. 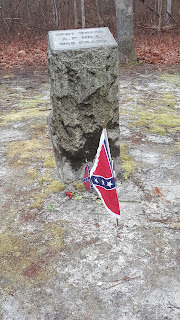 A few days ago, a friend and I visited the site of AP Hill's death in Petersburg, Virginia. It had been several years since my last visit. The locals in the area do a great job keeping the area clean. 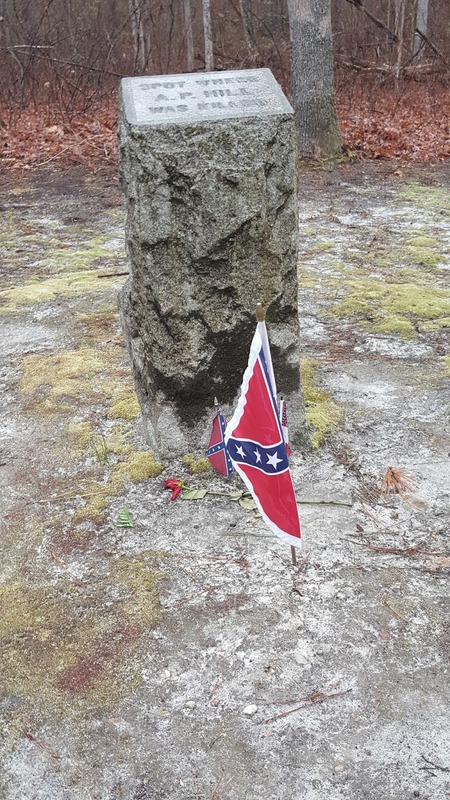 If you have never visited, it is located near Pamplin Historical Park, in the back of a small subdivision, off A. P Hill Drive. George W. Tucker survived the war, and in 1899, wrote a detailed account of the affair that appeared in the Southern Historical Society Papers. 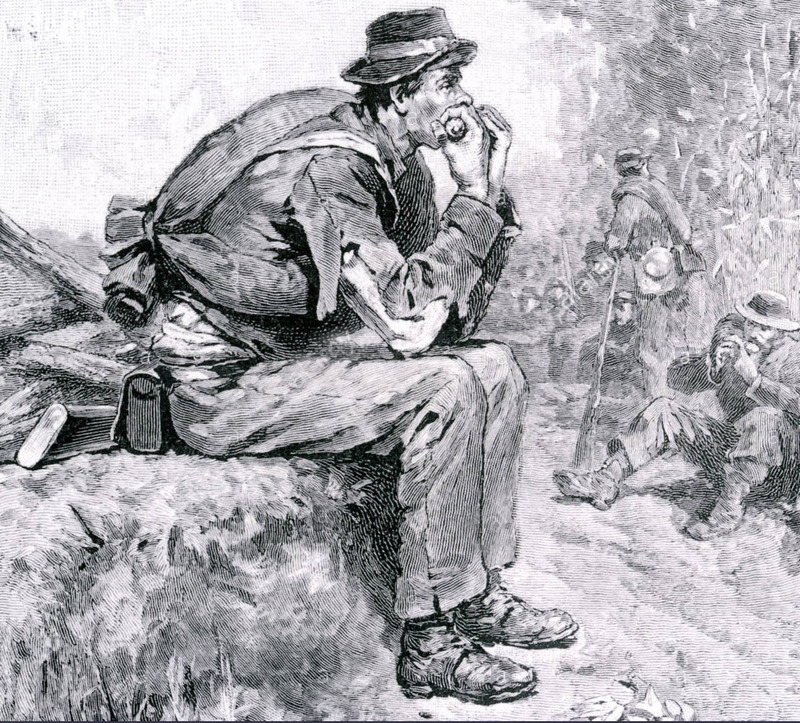 Tucker writes that the "Fifth Alabama Battalion, skirmishing, found the General's body, which was still slightly warm, with nothing about it disturbed." Tucker's claim was repeated by Robertson in his biography of Hill, adding that the 5th Alabama Battalion was acting as headquarters' guard. According to Crute's Units of the Confederate States Army, the 5th Alabama Infantry Battalion was assigned to Hill as his provost guard sometime after Gettysburg. But wait, there's more. An article appeared in The Southern Home, on May 5, 1870, years before a mention of the 5th Alabama Battalion, giving us a different account. "Gen. A. P. Hill - We have recently learned some particulars of the death of this distinguished officer from Mr. James Cody of Lincoln county, a gallant soldier of the 11th N. C. Regiment, who lost an eye in the service of his country. 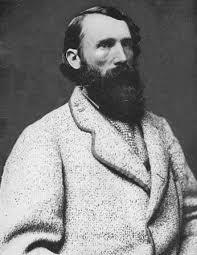 Mr. Cody says that a citizen named Kennedy reported to the Confederates that Gen. Hill had been killed, and a small party, consisting of himself, Lt. Col. Ursin [Eris Erson] of the 52nd [NC] Maj. Collins, Capt. J. M. Young, Capt. Daniel Hanes, and a Sergeant of Lane's Brigade, found the General near a branch lying on his back, his right arm grasping his revolver in the branch. The pistol had been discharged twice. The Confederate party captured the seven Yankees concealed in a little thicket, who had shot the General. They placed his body on a horse and removed it back to our lines. Mr. Cody thinks that General Hill was reconnoitering alone when fired upon, or, if attended, he was deserted when the fire opened." The challenge is this: where was the 5th Alabama Battalion posted when Hill was killed? Did they actually have time to learn of Hill's death and procure Federal uniforms and go in search of the General? All writers seem to agree that Hill's body was brought in a short time after his death. We know where Lane's brigade and the 11th and 52nd North Carolina of MacRae's brigade were originally posted: not far from where Hill's body was recovered. Capt. J. M. Young is probably James M. Young, Company K, 11th North Carolina. I don't easily see Major Collins, or Capt. 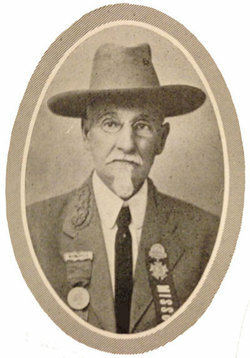 Daniel Hanes, and there were many sergeants in Lane's brigade. James Cody also served in the 11th North Carolina. I wonder who the citizen named Kennedy was? Maybe there is more to the story of the recovery of Hill's body that we previously thought. In writing General Lee's Immortals, I stuck to the original script, stating that the General's body was recovered by the 5th Alabama Battalion. But I did make mention of that sergeant from Lane's brigade in a footnote. Pvt. John W. Towson, 39th Batt. VA Cav. A lot of times, I'll show up at an event, give my talk, answer a few question, and at some point, get the inquiry "what are you working on next?" Unless I have a contract, I'm usually pretty hesitant about what's coming next. And I'm not sure why. It's not like there is a whole lot of idea-stealing in the history world. I suspect people want to know if I'm going to be working on a history of their ancestor's regiment or their favorite battle or campaign. A few you know (family and a few old friends) that when I was a kid, I was diagnosed as having ADHD. I could be the poster child for ADHD. Thankfully, my folks chose the Feingold diet and not the drugs for the treatment. (I'd probably be better off if I was still on the diet, or any diet!) So how does a person who has ADHD write books? I mean, we're easily distracted, right? Well, yes, we are, and look! an airplane! It seems at times like my brain is like the browser on your computer. I'll have a dozen tabs open and I will be constantly flipping through them. I compensate by working on multiple projects at a time. In fact, I often have four or five projects going at once. Some days, I might only work on one or two. Other days, I work on all of them. Many people would state that they could never get anything done like that. Well, since I have twenty-three books in print, I guess that odd strategy is working for me. Yesterday, I put two contracts in the mail for two new book-length projects. 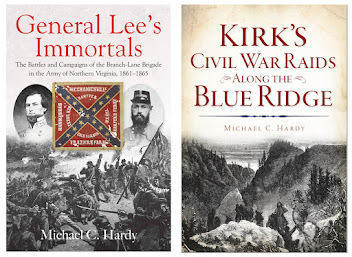 I've been working on both of them since I finished the proofs for Kirk's Civil War Raids Along the Blue Ridge, and both having me diving deep into the history of the Army of Northern Virginia. The first is a history of the 39th Battalion, Virginia Cavalry, better known as Lee's Headquarters Guards or at times, Lee's Bodyguards. At times, this battalion of four companies was also known as Richardson's Battalion of Scouts, Guides, and Couriers. As these names imply, they did not function as a traditional cavalry command. Instead, they were attached to the staffs of various Confederate generals, like Jackson, Pickett, Early, and of course, Lee. Their primary mission was to act as couriers, but they also scouted, escorted prisoners, rounded up skulkers, established headquarter sites, etc. Of course, this will not be a traditional regimental history (like the others I have written) since they did not function like a regular cavalry command. I already have several thousand words on paper. This project will be published by the History Press and is due in to the publisher later this year. Contract #2 is something I've had floating around for a long time. When I first started writing (almost twenty-five years ago), I kept a list of things or subjects that I came across and that I felt could use an article or a book-length treatment. On that list was an idea to do something about Food Stuffs in the Confederate army. That idea is coming to fruition. I just signed with Savas Beatie (who did a great job publishing General Lee's Immortals) to publish Feeding the Army of Northern Virginia. (My working title is Hard Crackers and Crackers Hard: Feeding the Army of Northern Virginia. "Hard crackers and crackers hard" comes from a July 1862 letter from a member of the 53rd GA). I have been doing background reading on this paroject for the past six or seven months, and have somewhere around fifty sets of letters under my belt and tons of citations/notes. The chapters include food issued by the army, food from home, food on campaign, and food in the hospital, with appendixes on feeding the generals and feeding camp servants. Like almost all of my other projects, this one will tackle the issue from the boots up, examining how the men in the ranks felt about their fare, how it affected their morale, while at the same time looking at how the Confederate government in Richmond contracted for the food, and transportation issues involved getting it to the rank and file in camps. I am really looking forward to working with Savas Beatie on this project, due to them in the summer of 2019. 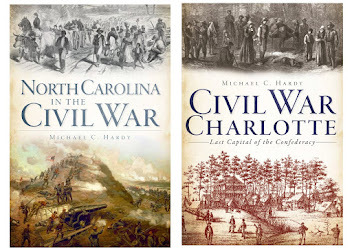 Am I abandoning my study of North Carolina and the War? Not at all. 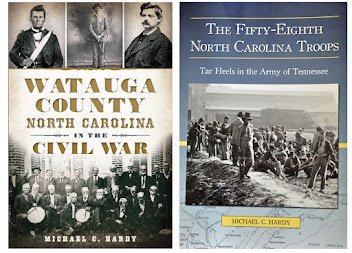 There are a few connections with the 39th Battalion Virginia Cavalry and the Tar Heel state (Alvis W. Daniels and Walter M. Rawlings were two members of the battalion who came to North Carolina after the war). 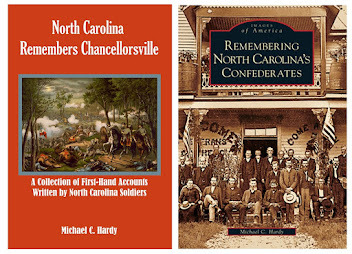 Of course, all of my research into the 37th North Carolina and the Branch-Lane brigade made a good starting point for the Feeding the ANV project. 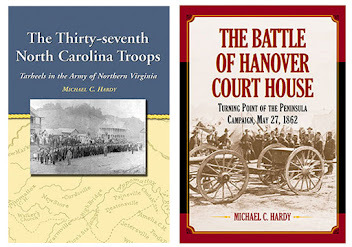 I also have two on-the-side projects that deal with local North Carolina counties and the war, but more on those later.